Don&apos;t you just hate when you&apos;re in a certain area of your house and you can&apos;t get access to your WiFi? Don&apos;t you just hate when you&apos;re in a certain area of your house and you can&apos;t get access to your WiFi? Or even worse, you don&apos;t have WiFi and can&apos;t connect your computer to the internet. 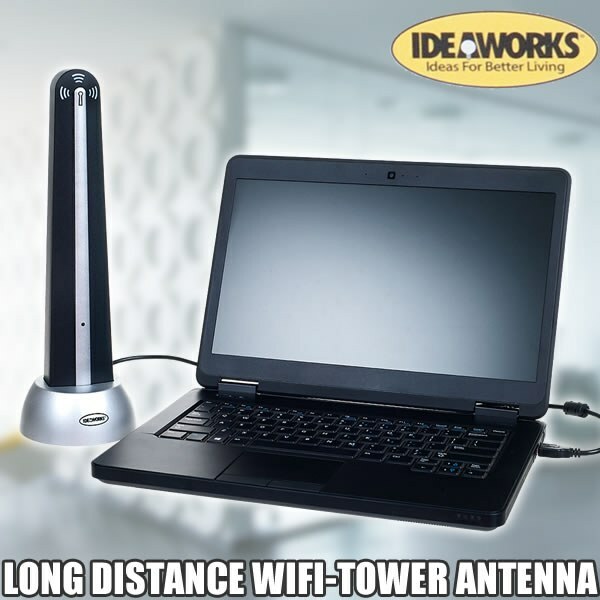 First it will extend your existing WiFi and make it reachable for up to 1/2 mile. Yes this is perfect for students and apartments if you want to share WiFi expenses... even a neighbor! The other thing you&apos;ll love about this is just how easy it is to install. You don&apos;t have to be a tech genius to do it. Easy to follow instructions are included! Great For: RV&apos;s, Mobile Homes, Apartments, Dorm Rooms, Large Homes, Highly Populated Areas and more... Also great for a desktop computer that doesn&apos;t have wifi capabilities. PLEASE NOTE: This device needs to hook directly to a laptop or computer via a USB connection. It will not work with an iPad.